CLICK (OR TOUCH) TABLE HEADER COLUMNS TO SORT BY ASCENDING OR DESCENDING ORDER OF ENGLISH OR BURMESE. One good thing about learning to sing a song in Burmese language, or in any other language that you don't know is that you don't need to understand all the words. 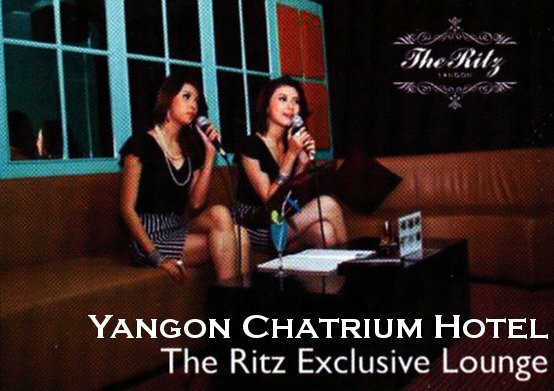 You just sing along Karaoke style to make new friends in Myanmar and socialize in Myanmar night life. Of course, it will be good if you know what the song is all about, and understand at least the gist of the lyrics. Burmese word for a "song" is tha1-chin3. The word for "to sing" is hso2. So, how would you say, "I am going to sing"? I have picked a beautiful Burmese song with a sweet vocal and wonderful lyrics that inspired me to translate into English. The song is titled, "Thein Hta Khwint" (Thain3-hta3 khwin1), which means "permission to keep". It was sung by a talented ethnic Kachin singer named N Kaira from Northern Myanmar. Let's listen to the first part of the song. My innocence: only what I had on you -- pure and white. before being bond by the strings of caring attachment. only what I had for you -- pure and white. I feel afraid to be apart. To make you know... I'm going to tell you my intimate, secret thoughts that I have been intending to tell you. the strings of caring attachments have bond me. Let's journey the days of tomorrow you and I. Let's get close together! What I want to have is... a permission to keep lots of love -- forever! don't you break it apart and go away. if you were not there in my life. a permission to keep lots of love -- forever! If you are interested in detailed break down of this song word by word, I have listed the lyrics of this entire song translated into English on the left column of this page. Try searching "N. Kaira + Thein Hta Khwint" on the Internet. There are a number of her songs on the YouTube. But, I would recommend buying her records when you visit Myanmar. Then, you will have a permission to keep those -- forever!